Supro presents: Black Magick, a recreation of one of Rock & Roll music’s holy-grail amplifiers. This all-tube, high-gain blues machine hearkens back to the dimensions, cosmetics and circuitry of the Supro amps from 1959, just like the one loaned by Jimmy Page to the Rock and Roll Hall of Fame Museum. 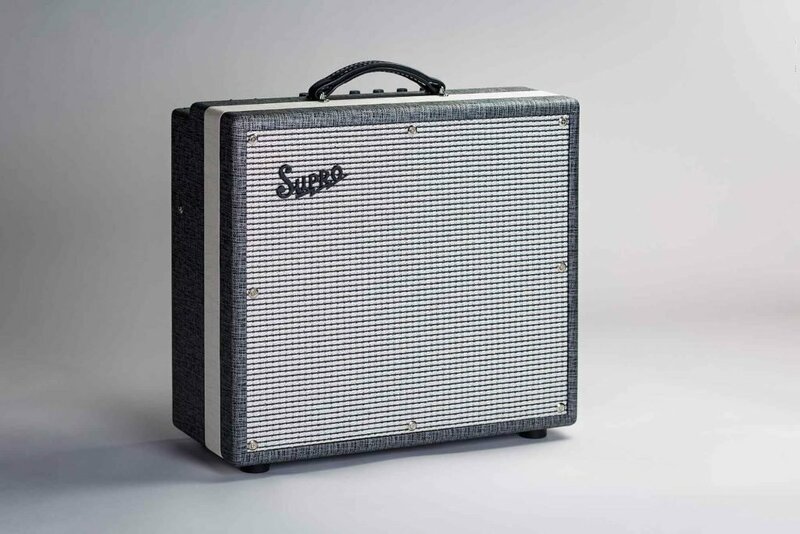 In tribute to this legendary and extensively modified Supro combo, we’ve used the cabinet dimensions from a ‘59 Supro 2 x 10 and replaced the baffle with a 1 x 12 and armed this 25-watt combo, with a custom, British voiced speaker that was specially developed for the Black Magick amp.